VAC-U-MAX specializes in the design and manufacture of pneumatic conveying components, systems, controls, and support equipment for vacuum conveying, batching, and weighing of bulk materials. 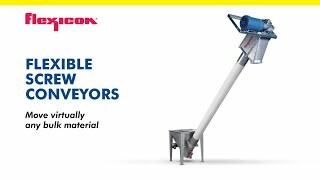 With a VAC-U-MAX pneumatic conveying system on site, bulk materials move gently and quickly from point to point, with nothing in the way to impede the efficiency of material movement. The primary technology for conveying is vacuum, and additionally, VAC-U-MAX provides positive pressure pneumatic systems, as well as mechanical conveyors, and industrial vacuum cleaning units and central vacuum systems. Product line also includes mechanical and flexible screw conveying. Founded in 1954, VAC-U-MAX is a pioneer in vacuum pneumatic conveying, having many firsts, including the first air-powered venturi power units, direct-loading of vacuum-tolerant process equipment, and vertical-wall “Tube Hopper” receivers. A UL-listed designer and manufacturer of control packages, VAC-U-MAX furnishes integrated control systems that provide coordination of material movement, batching, and processing, with tie in capabilities to existing control systems. With a customer-centric focus at every step of the process, VAC-U-MAX is committed to system solutions that satisfy the needs and expectations of our customers. VAC-U-MAX is committed to continual improvement, with quality policies, strategies and quality systems communicated within our organization, creating customer value and quality equipment to process industries worldwide. With over 3,000 square feet of available floor space, VAC-U-MAX has the ability to create a multitude of equipment configurations. Thousands of difficult to convey materials have been tested, adding to VAC-U-MAX application expertise. Material testing is of no charge to customers, with facility fully equipped to meet customer demands for vacuum conveying and aeromechanical conveying testing. Additionally, testing can be done for applications requiring vacuum cleaning. Whether the application calls for a bulk bag unloader, bag dump station, microprocessor controlled batch weighing systems, or precise batching of small quantities of multiple ingredients via recipe control, the VAC-U-MAX test lab can meet customer demands. When to Convey Mechanically and When to Convey Pneumatically?